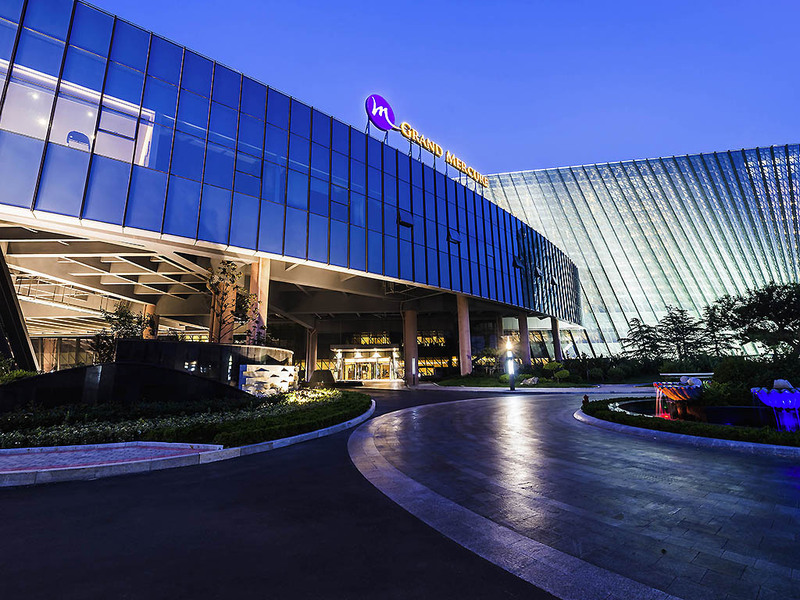 Grand Mercure Qingdao Nanshan Resort is a luxurious 5-star business and leisure hotel, with 508 elegant deluxe guest rooms and suites, all-day dining, Chinese restaurant and a lobby Bar. We offer the two pillarless ballroom plus eight meeting rooms with the latest audiovisual system and an array of recreational facilities such as spa, swimming pool, gym to enhance the guest experience. Located adjacent to Qingdao International Exhibition Centre. All rooms have an ocean view with open seascape balcony. The restaurant serves an extensive buffet with an a la carte option. Its 24hr Congee menu is perfect for a healthy lunch or a late night snack. Linhai Xuan Chinese Restaurant presents the art of oriental dining with the finest seafood recipes. Guests are treated to warm and attentive service in a sophisticated ambiance. The all-day dining restaurant has an open interactive kitchen and serves Western and Eastern cuisine. It provides buffet breakfast and dinner along with a la carte options. Fashion bar is the perfect place to escape the stress of the office or simply just relax and unwind with a glass of wine in our fashion Bar. The bar serves a variety of wines and light snacks. The bar serves a variety of wines as well as a selection of premium cigars.